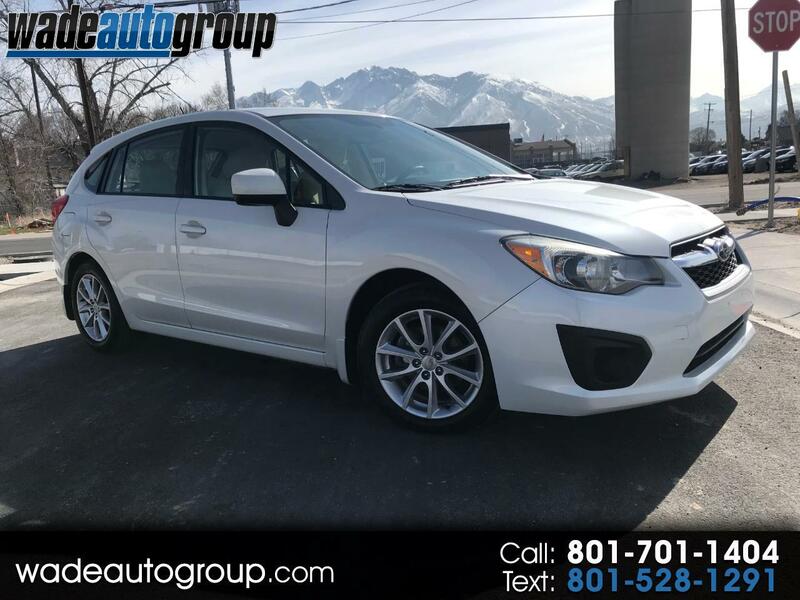 2014 Subaru Impreza Wagon 5dr Automatic 2.0i Premium- White W/Gray Cloth... One Owner, Heated Seats, Bluetooth, Alloy Wheels, Keyless entry, Pwr windows/locks/mirrors, Manual Seats, Clean title and much more... Here at Wade Auto Group we sell quality vehicles at low prices. This car has a CLEAN TITLE. Call now or visit us at www.wadeautogroup.com WADE AUTO GROUP 12277 South 700 West Draper UT 84020 ''You've got it made with WADE'' WE BUY TRADES.....Extended Warranties available, call for more informatioN.